Lois Riess, who was arrested in Texas and facing murder charges in Fort Myers and her native Minnesota, had an extradition hearing today. She waived her right to fight extradition to either state: so whoever comes to get her first can bring her back. It is expected that Florida will collect her first: Lee County filed murder charges while the murder case from Minnesota was still under review, and she could potentially be facing first degree murder charges for the tourist she allegedly shot to steal hear identity on Fort Myers Beach. Apparently, some authorities are calling her “Losing Streak Lois”, due to her gambling losses at casinos… but she might have been apprehended to quickly for that to stick. This silver fox was not sly enough to avoid capture. The Star Tribune has good details of the alert restaurant employees that spotted her and helped authorities capture her in Texas. Likely, the prosecutors in Lee County and in Minnesota will talk and decide who will prosecute her first, and it would not surprise me if she ends up headed to SW Florida. Is there a Serial Killer on the Loose in Southwest Florida? A manhunt is underway for the woman suspected in a murder at Fort Myers Beach that was discovered on Tuesday. Detectives believe Lois Riess was hiding out in the Fort Myers Beach area, and targeted victim Pamela Hutchinson due to the similarity of their appearance. Ms. Hutchinson was found deceased in her hotel room, murdered by a gunshot to the head. LCSO believes Riess then stole Ms. Hutchinson’s identity, and her car, and her current whereabouts are unknown: though they indicate she may have fled to Texas. Ms. Riess was already the suspect in the murder of her husband in Minnesota. David Riess was found dead after he failed to show up for a fishing trip on March 23. His body was found in their home with multiple gunshot wounds, his car was missing, and money had been taken out of his business account and transferred to his personal account. Authorities allege Riess then forged his signature on checks which she cashed, totaling $11,000. She apparently made her way to Fort Myers Beach, identified Ms. Hutchinson due to her similarity of appearance, and then killed her and fled in her stolen vehicle. A nationwide search is underway, and Ms. Riess is believed to be armed and very dangerous. This week a man working a prison-work detail walked away from his job and escaped into the woods near FGCU, only to turn himself in about 45 minutes later after succumbing to the Florida heat. Ricky Nelson, in prison for multiple drug charges, was with a work detail on the FGCU campus to control melaluca trees on the campus nature preserve. He ended up turning himself in to officials, sweaty and apologetic. He passed out from the heat after just a little while before coming back. But not before a major manhunt got underway, complete with K-9 officers and helicopters. The escape attempt is even more poorly considered because Mr. Nelson was scheduled to be released in less than two months. Now he’s looking at a new second-degree felony for escape, and possibly more jail time. Oops. Kudos to Fox4 for the additional details. The Delirium in Paradise episode of Deadly Sins is about to air, featuring 2 Fort Myers area cases, and several Southwest Floridians talking about the story, including yours truly. Tune in to hear about the Gateway Murder by Fred Cooper, and the murders of Dustin Jaye and Billy Ray Retherford in San Carlos Park. I’m a commentator on the latter story. 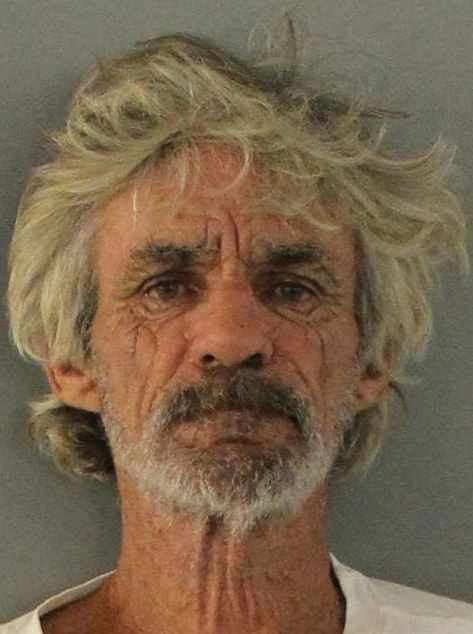 Deputies allege that Kenneth L. Smith, a 58 year old from Punta Gorda, was driving his riding tractor (an Ariens) along the side of US 41 in Charlotte County while impaired. We’ve seen the DUI on a lawn mower before, and there’s nothing too impressive about this, except that he was going along the busiest road in Charlotte County. To cap it off for Smith, he was also packing heat under the seat of his tractor, and he’s a felon, and his license was restricted to business purpose only, and he threatened to have a friend beat up the deputy (all allegedly, per CCSO). 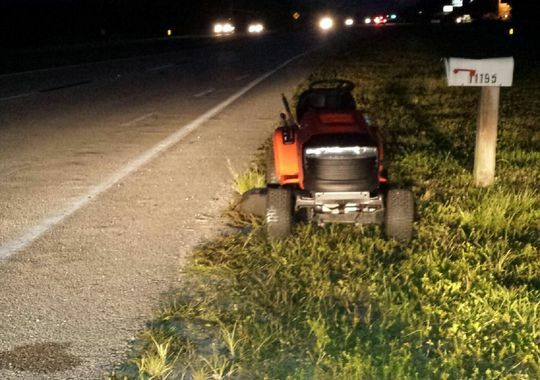 Yes, you can get a DUI on a lawnmower in Florida: it is a vehicle. It’s got a motor, so you can even get a driving with license suspended (or restricted) charge if you operated it on a street or highway. There are very few exceptions to the requirement that operators of motor vehicles be licensed, namely motorized wheelchairs and electric bicycles. But Mr. Smith’s problems are greater than merely a DUI. He allegedly has multiple DUI priors, which could enhance this charge to a felony, and the possession of firearm by a convicted felon is a second degree felony. Ironically, the CCSO Facebook post says you can get a DUI on any type of motor vehicle. In fact, it does not have to be a motor vehicle, rather any vehicle. That includes bicycles, and in one case I handled, a DUI on a tricycle. However, it doesn’t include horses (probably).